People always ask me how I can afford to travel so much, but the real truth is not that glamorous: I have learned ways to BUDGET all of my excursions. I've also made travel one of my highest priorities, because I've learned the true value that comes from travel, and I make the sacrifices involved frequently. It's a commitment really, but if you're willing to make it – while practicing these budgeting tips – you'll be able to accomplish a lifestyle of travel as well. Here are my top 5 travel budget tips, with a BONUS CONTEST that could get you a $100 Visa Giftcard from Vancity. Create a budget and load that set amount onto a reloadable credit card. This ensures you are avoiding “accidental” overspending, insane interest rates, and the oh-too-common mistakes of carrying a credit card balance. Use ride-hailing services to get to your hotel from the airport. Airport transfers always eat into a travel budget heavily, so instead of a taxi, opt for services like Lyft and Uber and be sure to scour the net for promo codes. If you’re a first-timer, you’ll be able to get some free credit, and if you’re traveling with someone else, you can have them invite you to sign up and then you both get some free credit to use towards your trip! Hit up a local market upon your arrival and stock up on some snacks! No matter where you’re travelling, eating out three times a day (plus snack and coffee) will add up. To take the edge off your food and drink spending, get some snacks you can take with you on the go or eat in your hotel room before you head out. Instead of renting a car, use your Zipcar membership! It wasn’t until this last trip that I realized I could use my Zipcar membership in other places. This saved us so much money! I hate the additional insurance and gas charges that come along with traditional car rentals (not to mention the time involved) and constantly taking taxis is way too expensive. Look for free opportunities to enjoy the beautiful outdoors! 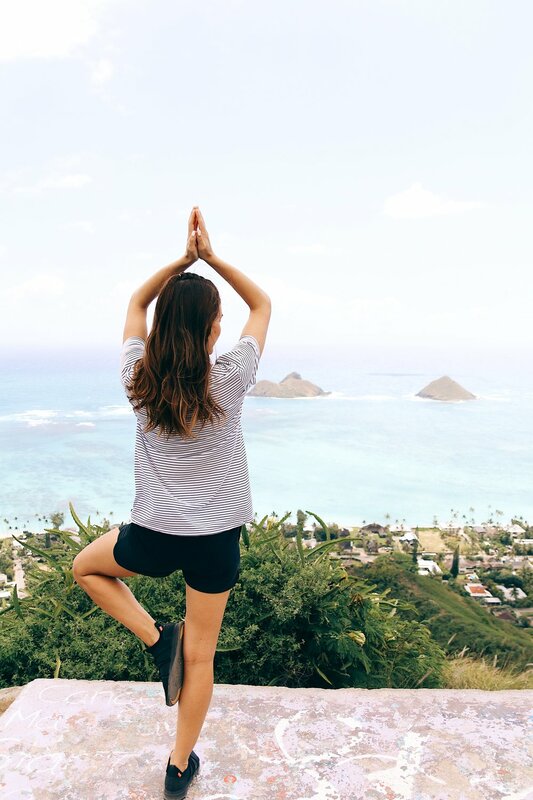 From hiking a mountain, to swimming in the ocean, to doing kundalini yoga in the park at Waikiki Beach, the best things in Hawaii (and many places around the globe) are free! To enter, simply tag 2 of your friends in the comments of one of my latest Instagram photos and follow Vancity on Instagram. Good luck!